Have you ever been under gunned and wish you had a bit more foam underneath you? We have all been there. For those of you looking for a board on those overhead plus days at your local break or guaranteed juice abroad we suggest you get your quiver ready. 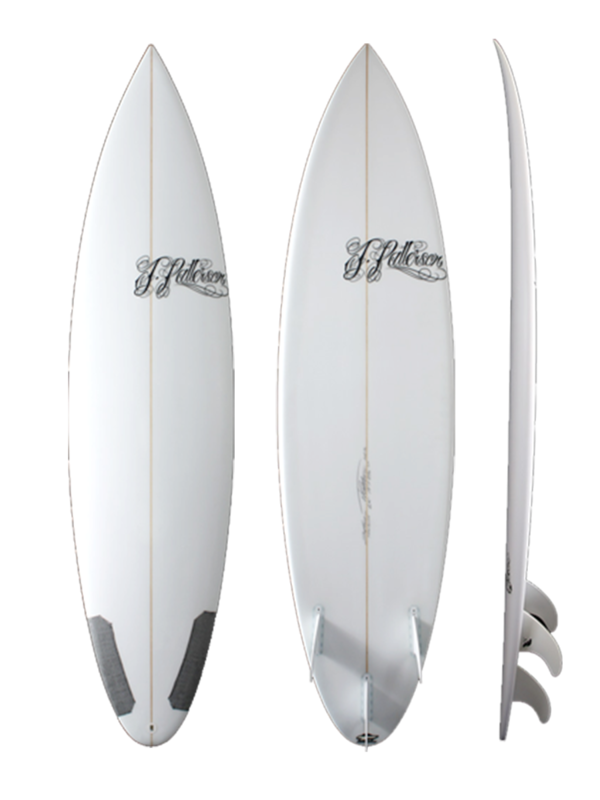 Not only do you need a board thats available when the waves are pumping you need a board that is proven in bigger surf. We have been working with the best surfers riding the biggest and best waves for over 25 years and have learned a thing or two about step up designs. We like to keep more volume in the center of the board for paddling into those meaty double overhead waves with ease and confidence. Our Step Up model has a medium entry rock that flows into a single to double concave off the tail for maximum speed and maneuverability. The tail is pulled in with a sharp edge on the rail allowing you to set your line and keep your momentum through those heavy sections. The Step Up rides great as a tri fin or quad.